Vintage Racing Club of BC | The ‘Gravel Road Racers’ came back! The ‘Gravel Road Racers’ came back! 10 Oct The ‘Gravel Road Racers’ came back! The Pacific Forest Rally is over for another year. The final results are available on the Canadian Rally Championship web site (here). It’s that time of year again. 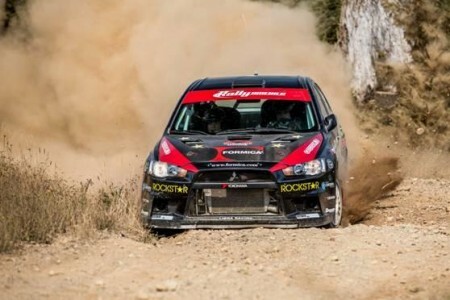 Those ‘Gravel Road Racers’ – otherwise known as the Special Stage Rallyists – were back in town. This year’s edition of the Pacific Forest Rally hit the roads around Merritt on October 12th and 13th for the fifth round of the 2012 Canadian Rally Championship. There is only one event left after the Pacific Forest, so all of the teams were pushing really hard, including our local hero, Pat Richard of Squamish who drives for the national Subaru team. You can download the event program here and the post-event report on the Western Driver web site (here). We know it’s hard to believe but some folks actually think special stage rallying is almost as exciting as Vintage racing!